Preheat a large container of water to 155°F using your sous vide circulator. Pat dry the brisket and lightly coat with oil or mustard. Apply salt and pepper to all sides of the brisket (You can use your favorite rub here instead as well). Place the brisket into a ziplock or vacuum sealed bag and remove all the air. Place sealed bag with brisket inside into container. 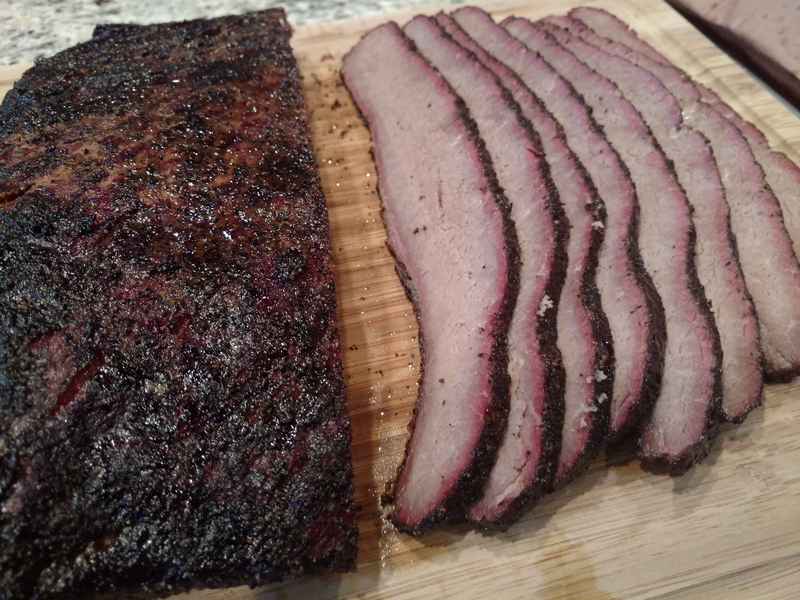 Cook the brisket for 24 to 36 hours. Remove from water bath and smoke in your smoker for 2-3 hours at 275°F – 300°F to add the smoky taste. Let rest for at least 30 minutes and enjoy. [ Place sealed bag with brisket inside into container. I don’t see in the instructions where it says when to put the brisket into water and for how long? And do you put it in there while it’s in the bag or what part of the process is this done I’ve never made one before but I’ve always wondered about how it’s done. I like keep my instructions short and simple with an expectation that if something isn’t clear it will be looked up. I always provide a link at the bottom of the recipe with detailed steps and directions from the recipe source.